The ibis Buenos Aires Congreso hotel is next to Congressional Plaza, one of the most beautiful architectural works in Argentina. Only 5 blocks from the famous Avenida 9 de Julio where you can find the Obelisk. 8 min from Teatro Colón, one of the 5 best opera houses in the world. 10 min from Puerto Madero, the main dining and tourism hub, and Plaza de Mayo. 8 min from Casa Rosada and the Metropolitan Cathedral. 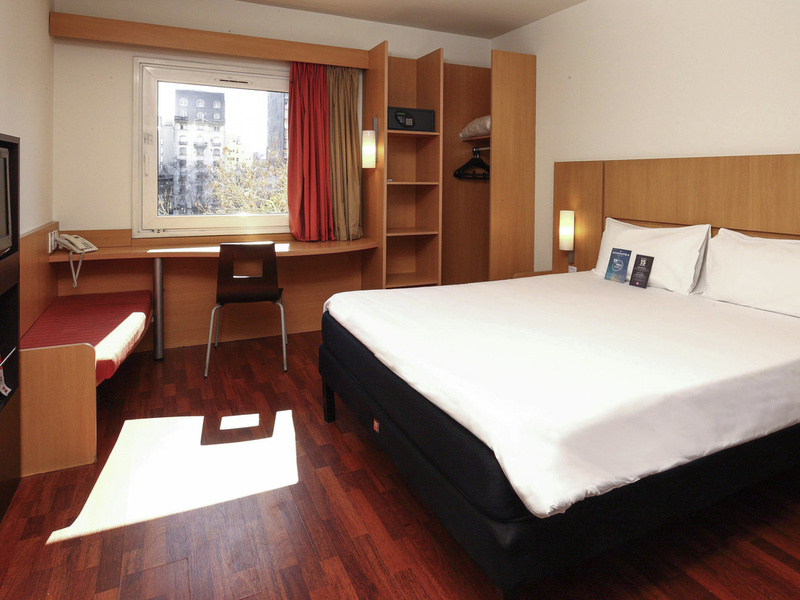 Stay at the ibis Buenos Aires hotel and save money. Extremely good value for money. Perfect location, room very much above normal Ibis standard. Large and very clean. Stayed for just over a week, room very very clean every day. Compliment for the housekeeper! Very nice and helpful staff at reception. Special compliments to IOANINA who gave me a very warm welcome on arrival and to her ecuadorian colleque DANIEL who was so very helpful with information at all times. Those 2 are great embassadors for Ibis hotels. Normally on Bussines in Buenos Aires I stay at Hyatt Palacio Duhau, this time on private stay the Ibis conresso was a very pleasant surprise and certainly will be back. I stayed for 6 nights with my wife and we simply had no issues. Everything worked good and the staff is very helpful. No complaints at all. staff were pleasant, great location, great price, elevators are old, drapes on windows had small holes in them, bed kept sliding away from wall. The hotel was lovely, friendly staff and great location. We needed a place for one night only that was close to Congress. The IBIS was perfect. Super friendly staff, clean comfortable room. Late check out of 12 noon. Simple no frills very affordable room. The location of the hotel was good. The breakfast was quite complete. The room was very clean. To enhance the experience a frigobar would make the difference! It was really good. The staff is great, and all of them are very polite. The room is very clean and the bed is really confortable. We enjoyed our stay. The location across from the park was very nice. The breakfast was very good especially the pastries. Front desk was very helpful with tours & taxi to the airport. Room was basic but clean, quiet and all that we needed. Restaurants, bank, stores all nearby. Would definitely stay again. After a long flight from the UK, the familiarity of an Ibis hotel in BA was very welcome, especially with the scope to check in at midday. A special mention to Daniel on reception , whose customer service was par excellence! The room was clean and well maintained, the staff was very helpful and courteous, I felt very safe and comfortable. I stayed at Ibis Congreso from January 4th to January 10th 2019. It was the first time. We enjoyed walking through the center of Buenos Aires. We almost didn't stay at the hotel during the day but I assure we were pleased by the view from our room. We could see the Congreso Square, many people walking their dogs, many children playing at the corner. By the way, I would like you to add points to my Accor card 3081031354647571, please. The hotel staff was friendly and helpful.